Wisconsin Architects, It’s Time to Renew! The world’s great historical landmarks often need TLC to keep them standing and sharing their beauty and history for generations to come. Restoring these treasures can be a challenge – but drones are helping with this complex work. 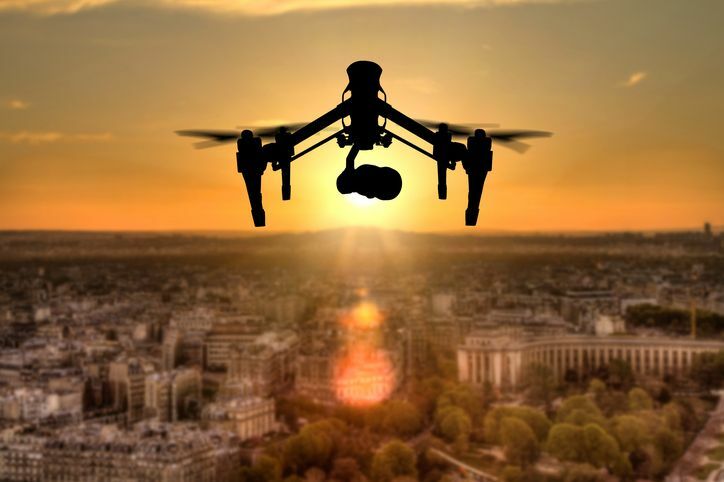 Advances in drone technology are not only about improving our quality of life today but also providing new ways of preserving our historical landmarks. Drones, or unmanned aerial vehicles (UAV), are performing complex site assessments and accomplishing conservation tasks that used to be extremely difficult and costly. Utilizing drones to inspect fragile, historic monuments help maintain a site’s integrity, eliminating the need for heavy and damaging scaffolding. Maneuverability and acute vision enable specialists to inspect inaccessible areas and identify vulnerabilities. Drones gather data that can assist in the next stages of restoration planning. In less than an hour of flight time, drones can capture nearly one thousand detailed images, giving researchers data to produce an intricate, true-to-life 3D model of the structure. For preservationists, drones are revolutionizing the field and energizing a new era of historical preservation with better data, in a fraction of the time. In addition to reducing the time and resources needed for these preservation initiatives, drone deployments result in substantial savings—enabling further conservation efforts and the maintenance of cultural treasures for future generations. This entry was posted in Drones and tagged Commercial Drone Use, drone, drone news, Drone Technology, Drones in business.